…Eipix’s dramatic continuation of the Final Cut story line! A serial killer calling himself “the Director” has targeted your father’s movie legacy for his magnum opus, and he’s cast you in the starring role. Your father’s projector appears again as a game-play feature, allowing you to switch between real-life scenes and the Director’s movie sets. Save your family from certain death as the Director tries to immortalize them as works of “art.” Beat him at his game of cat-and-mouse. And uncover the Director’s true identity before the final credits roll! 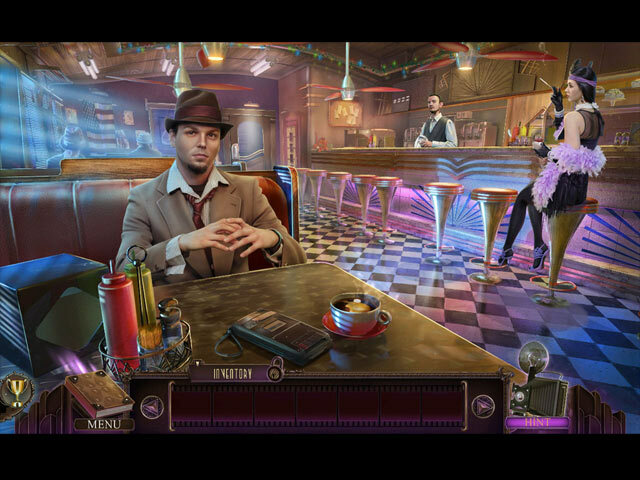 Play role-reversal as the detective in the bonus game! 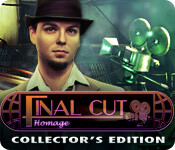 Final Cut: Homage Collector's Edition is rated 4.2 out of 5 by 55. Rated 5 out of 5 by JocastaSilver from An Edge Of Your Seat Adventure Homage is probably the best of the Final Cut series. 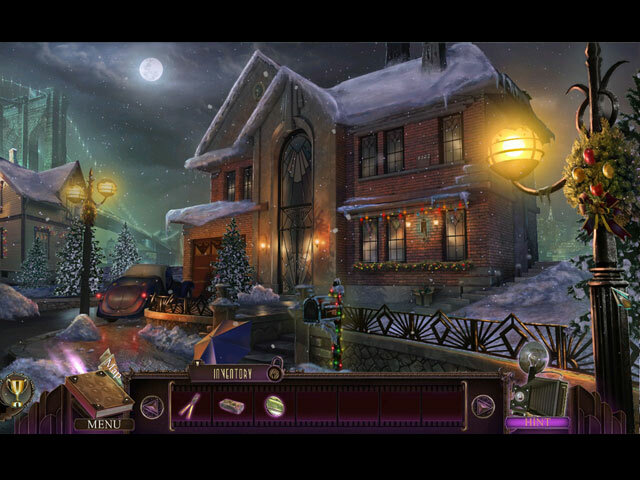 It builds off the previous games well into a nail-biting mystery. As for the culprit, it's a tricky balance between making it so obvious that people tune out until the big revelation to having it be completely out of left field and leaving viewers confused by the revelation, but the Eipix team did well with this. The puzzles were fairly straightforward, and the VA was excellent. The only downside is the HOPs were a bit tricky, but for the most part there was the option to play Match 3 instead. Above all, the art of the game is beautifully rendered. I even had to look up Art Deco on the Internet, because the game made the style grow on me. Recommend for anyone who enjoys mysteries, and Old Hollywood. Rated 5 out of 5 by Kimmycoo from Super Game I think this game was deff worth owning the collectors edition. I enjoyed everything about this game...The beautiful Christmas and wintry scenes, the story line, switching between movie reels and real scenes, HOS, mini games voice-overs ect.. The extra stuff was fun too. Collecting the movie clapboards..the only thing I was hoping for was better wallpapers. There were gorgeous scenes throughout the game yet they dont use those as wallpapers. I LOVED the bonus of being able to go behind the scenes and play a mini game to feel like your a game developer. That was great and VERY VERY unique! Bravo guys!!! Wish the achievements had been better. I like them in a room all by themselves. I look forward to more of these! Rated 5 out of 5 by tutortime from Excellent series. Great game and the CC was worth the extra money. Rated 5 out of 5 by dcgvmy from One great family game I thought this game was fun, just like the previous two final cut games. The guy you meet at the beginning, i had my early suspicions on him. I thought it was just a tiny bit funny when my suspicions were proven correct. Rated 5 out of 5 by SjSivula from My Favourite Of The Series Homage is my favourite of the Final Cut series! Once again, the entire game was gorgeous with clean graphics and dynamic scenes. Being the third game in the series, I was worried the storyline would be old news. Boy, was I wrong! It was fresh while still being perfectly cohesive with the other two games. If you enjoyed either (or both) of the first two Final Cut games, you won't be disappointed with Homage! Rated 5 out of 5 by 5Jodi from Star of the Show! 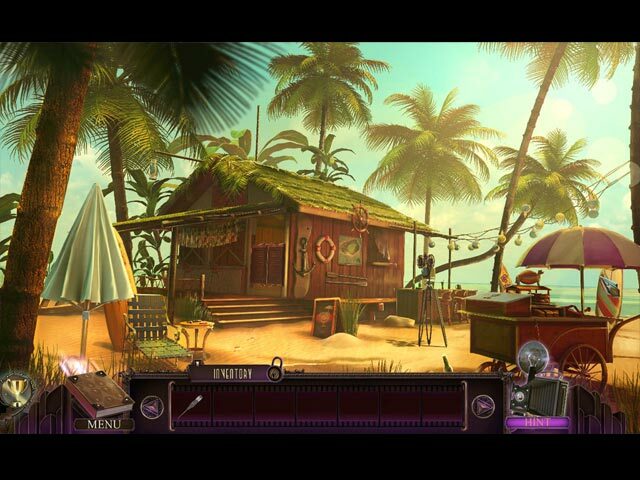 This is a well made game with a very interesting, intriguing story line -- a mystery and you play the investigator! There is a detective as well who seems a bit shady as well! Great interesting, colorful graphics, various types of HOS games, and great voice overs - all aspects of the game tie in together well -- a very polished game! And one that is really fun and interesting to play!! It was very hard to stop with this game-- played almost all of it in one sitting because it was so good! Enjoy!! Rated 5 out of 5 by Weedance from Great visuals and fun to play I have loved the entire series of Final Cut. The notion of turning on a projector and stepping into another world is fabulous. The characters are animated and talk to screen, and there is a level of sophistication to the story and adventure. Unfortunately the games are beginning to become repetitive and too easy. this is a criticism of almost all games these days. Perhaps I have had enough and need another venue for adventure? Mystery Trackers Madame Fate is the quintessential peak of adventure, complexity and difficulty and to all other game developers, please take note, you are not doing yourself any justice by making things too easy - I want to think, strategise, explore, fiddle, unravel the mysteries, not have it all provided to me on a platter. AND when is someone going to rethink the objects board idea - give me a backpack to carry things in so I feel like I an on a real adventure - and need to dig into my backpack to acquire the necessary tools. So I cannot carry a pike, a fiery torch and a shield all at the same time -think, what has to be left so I can move forward? Remember that game eons ago called GreenMoon -not the greatest of games, but the notion was that as an explorer you could only carry so much before you had to put something down before picking another up. the Challenge was that you sometimes had to leave stuff on another planet, and try to remember that when you needed it again. Brought another complexity to the game and a touch of reality. So, summing up, increase the random complexity of games, use Madame Fate as an example and those tantalising doors to unravel as an example (have played each one 4 times and still get stuck), think like a real person, and provide only enough that one person can carry, AND please ditch those annoying morphing objects or cute animals - leave them for the easy games that younger and beginners can enjoy. I want to get straight into the thinking, sorting, strategising. Will you heed the director’s final casting call?